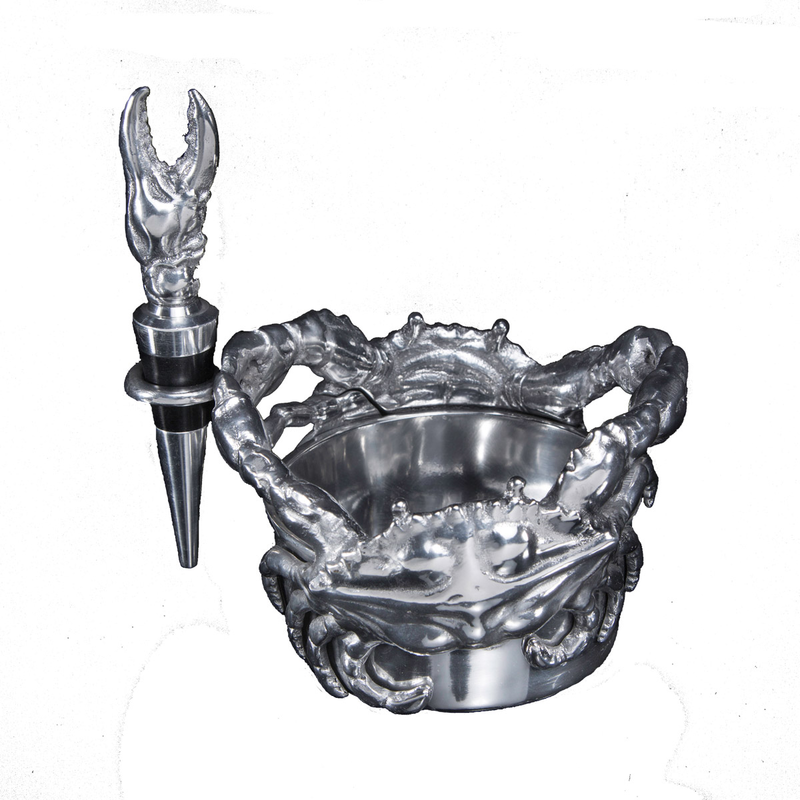 Create a beach mood in your dining room with the Aluminum Crab Wine Caddy & Stopper Set consisting of a cutout crab edged caddy and claw topped stopper. This unique piece is designed by Arthur Court. This coastal kitchen decor ships from the manufacturer. Allow 1 week. Cannot express ship. For further items, we invite you to make time to review our entire assortment of coastal kitcen decor at Bella Coastal Decor now.